Seven is often looked upon as a lucky number in many quarters but when it comes to the Brooklyn Nets, the team isn’t wearing that number very well. Seven is the number of consecutive losses the Nets have racked up with its loss to the Cleveland Cavaliers last night. Yes, the lowly Cleveland Cavaliers. The Nets lost to the Cavaliers 99-97. With the loss, the Nets fell to 8-17 overall and 3-9 at Barclays Center, meanwhile, the Cavaliers improved to 5-18 overall and 2-10 on the road with the win. Of the last seven losses, only the 102-88 loss to the Washington Wizards was more than 10 points. The other six games were winnable. The Wizards game was the second of a back-to-back to which the team had to travel to Washington to play. Now, back-to-back games are not unique to the Nets; every team has back-to-back games on their schedule but watching the Nets play the Wizards on Saturday, you could see a certain kind of exhaustion. The Nets looked downright tired. Fast-forward to Monday, team standouts D’Angelo Russell and Spencer Dinwiddie are still showing up even though Dinwiddie, who took and missed the last shot with three seconds left on the clock that could have given the Nets a win. Russell scored a game-high 30 points, his third-most points in a game this season. He also tallied eight rebounds, a game-high six assists, and two steals in 33 minutes. When Russell was asked, where he was able to expose the Cavs and get hot, his response was very telling. Dinwiddie registered 18 points, four assists, and three rebounds in 32 minutes. 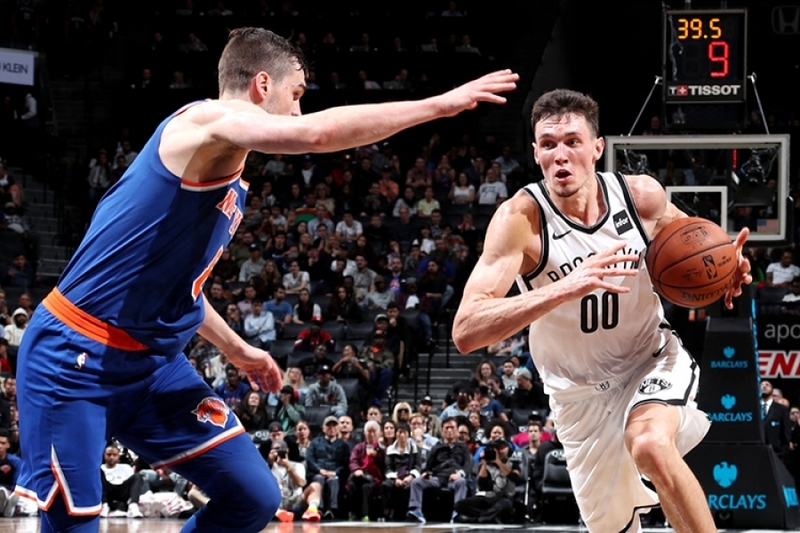 Nets rookie, Rodions Kurucs, recorded a season-high-tying 12 points with four rebounds and one steal in 14 minutes off the bench. Kurucs shot 6-of-10 from the field last night, with his six field goals made and 10 field goals attempted both marking season highs. Kurucs’ effort did not go unnoticed by Brooklyn Nets head coach Kenny Atkinson. Kurucs, who is mainly hanging out with the Nets G-League team, has now scored in double figures in three games with the Nets this season. He previously scored in double figures in the second and third games of the season. Could Kurucs be playing himself into the rotation? Shabazz Napier also scored in double figures for Brooklyn, posting 10 points, four rebounds, and two assists in 18 minutes off the bench. Napier has scored in double figures in four of his last six games, recording averages of 10.0 points and 3.0 rebounds in 19.3 minutes per game in those six contests. Ed Davis, not a prolific scorer, made his expected contribution to Nets, pulling down 10 rebounds in 16 minutes. For the Cleveland Cavaliers, Jordan Clarkson scored 20 points off the bench, along with 11 rebounds and four assists. Tristan Thompson registered 19 points and 14 rebounds; Collin Sexton tallied 15 points, and Alec Burks chipped 13 points and seven rebounds off the bench. Next up for Cleveland will be the Golden State Warriors at home in Cleveland on Wednesday, December 5, 2018, at 7 p.m. ET. The Brooklyn Nets will remain home to host Russell Westbrook and the Oklahoma City Thunder at Barclays Center on Wednesday, December 5, 2018, at 7:30 p.m. ET. There’s no party like a Brooklyn Nets party when the Brooklyn Nets party doesn’t stop! Now that’s a take on the saying about an old-school party. In this case, on Friday night, the party was at the Barclays Center and the Brooklyn Nets didn’t stop even against adversity and kept it going until the end. It was a close call, but at the end of the night, the Brooklyn Nets dropped their crosstown rival, the New York Knicks, 107-105, improving their record to 1-1 and 1-0 at home. 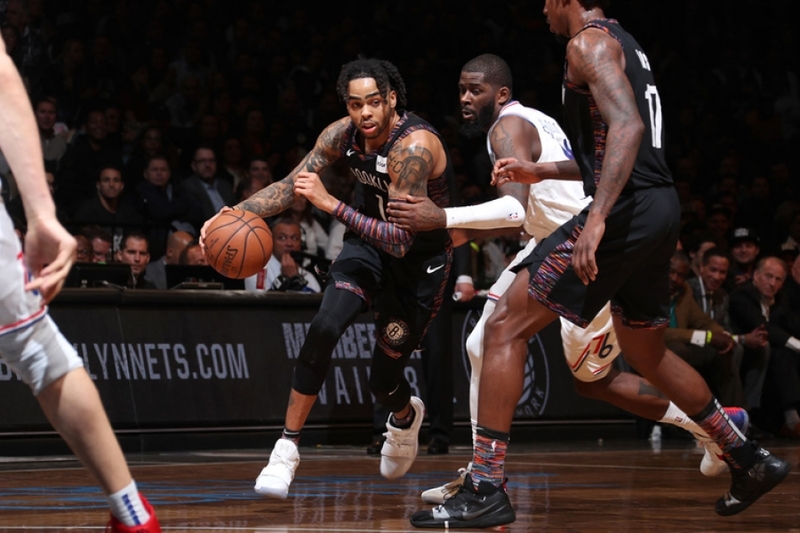 Now, this was no walk in the park for the Nets, as they saw a comfortable 12-point lead rapidly diminish to seven in the second quarter ending the first-half 50-57. Overall, the lead changed 13 times and nine times the score was tied. The moral of this story, don’t lose faith when your lead evaporates, keep grinding until the end. From 5:57 minutes in the third quarter until the end, the Nets found themselves in the hole seven times. Here’s where you can visualize everyone on their feet, at 15.9 seconds left in regulation, Knicks center Eric Kanter hits a free throw to tie the game at 105-105. The Nets call a timeout. The game resumes and Nets guard Caris LeVert hits a driving layup over Knicks forward Lance Thomas, which put the Nets up 107-105 with one-second left in regulation. The Knicks call a timeout and when the play is resumed, Knicks guard Tim Hardaway, Jr. hurls a 31-foot three-point jump shot with .4 seconds left on the clock, the ball bounces off the rim. The Knicks rebound with .1 seconds left. The horn blows before any action could be taken. The Brooklyn Nets eke out a win and Nets fans have a 107-105 home victory to celebrate. Statistically speaking, to show the significance of the Nets’ start tonight, Brooklyn shot .700 (14-of-20) in tonight’s first quarter, leading the Knicks 33-24. The Nets’ .700 first-quarter field goal percentage was higher than any of their first quarter field goal percentages all of last season and marked Brooklyn's highest field goal percentage in an opening period since April 4, 2017, at Philadelphia (.714). Additionally, the Nets edged out the Knicks 22-14 in assists. The Nets also out-rebounded the Knicks 55-36 in tonight’s win led by double-digit rebound performances from center Jarrett Allen, who is a sophomore in the NBA and center Ed Davis. Allen posted 11 rebounds; while Ed Davis, who the Nets acquired from Portland over the summer, is known as an efficient rebounder and is already paying dividends. Davis came off the bench crashing the boards with 10 rebounds and five points in 14 minutes. Since entering the league (2010-11), no player has recorded more rebounds off the bench than Davis (2,949). 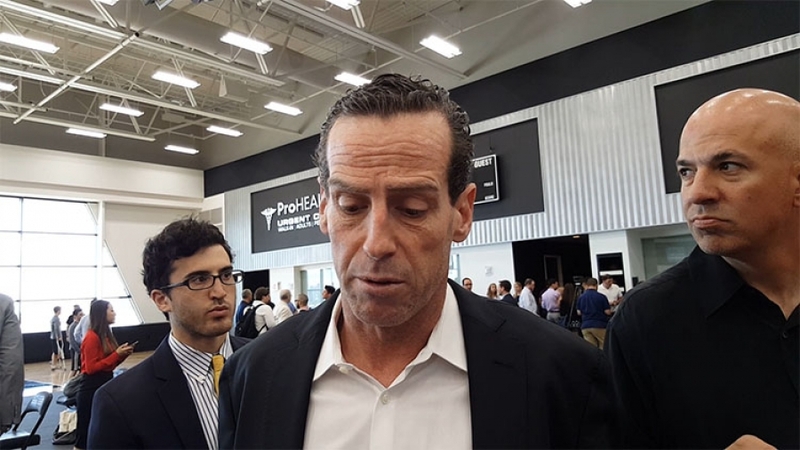 The Nets’ improved rebounding did not go unnoticed by Brooklyn Nets head coach Kenny Atkinson. In contrast to the Knicks, the Nets had four starters scoring in double digits and two off the bench. 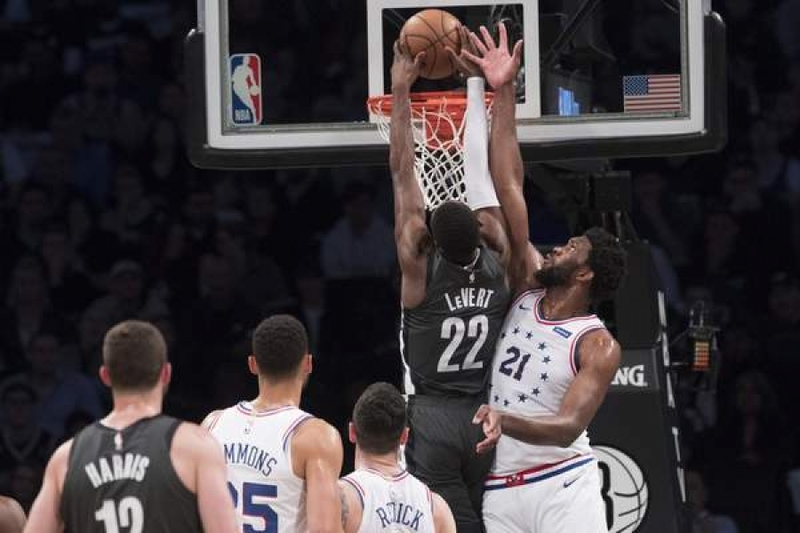 Caris LeVert, whom most believe will have a transcendent season, barring injury, led the Nets with a career-high 28 points, six rebounds, and five assists. Coach Atkinson could not have been more pleased about LeVert’s performance tonight. As one could imagine, with seconds left on the clock and a win or lose play outcome on the line, LeVert was singularly focused on the victory when he saw Atkinson had drawn up the play for him. LeVert's performance didn't go unnoticed by Knicks head coach David Fizdale. "He's a good player," Fizdale stated. "He's an explosive athlete. He can really put the ball on the floor. His three-ball has improved tremendously. He's competitor. I know that he and Timmy (Tim Hardaway, Jr.), that old Michigan connection, that gets them going. That kid can play and I think he's going to have a breakout year this year." LeVert’s tag-team partner, center Jarret Allen, contributed 15 points and four blocks in addition to his 11 rebounds. Allen’s four blocks tonight followed his four blocks in the season opener in Detroit on Wednesday, making him the first player in franchise history to record four blocks in each of the first two games of a season. He also became the first player since Tim Duncan (2003-04 season) to register a double-double and four blocks in each of the first two games of an NBA season. The last three NBA players to do so prior to Duncan were: Dikembe Mutombo (1999-00), David Robinson (1994-95) and Hakeem Olajuwon (1992-93). Can you say Hall of Fame greatness in the making! Additionally, for the Nets, D’Angelo Russell scored 15 points and piled on six assists and five boards. Two players scoring 11 points each were Joe Harris and rookie Rodions Kurucs of the secondary unit. Kurucs also added five rebounds, while Harris added four boards. Spencer Dinwiddie, who was rumored to be a trade option for Minnesota’s Jimmy Butler, chipped in 10 points, six assists, and three rebounds off the bench. Kevin Knox, a rookie that the Knicks selected in the 2018 NBA Draft, whom Knicks Nation is watching like a hawk, showed flashes of brilliance again in his second NBA game. Knox was one of three Knicks players that scored in double digits, scoring 17 points and six rebounds off the bench. The other two Knicks scoring leaders were starters Enes Kanter, as expected, with 29 points and 10 rebounds, and Tim Hardaway, Jr. also with 29 points. It’s important to note that Hardaway Jr. had no assists. And, if you’re keeping Nets vs. Knicks overall scoring records, the Knicks only have four wins over the Nets at 98-94. Nets fans revel in this victory because your team will be on the road tomorrow for Game Three of this NBA season and the first of its 14 back-to-back games for the 2018-19 Season. The Nets will take on the Indiana Pacers, a team that many prognosticators believe, based on last season’s performance, will be an NBA Eastern Conference playoff contender. See you at the Barclays Center on Sunday, October 28, 2018, at 5:00 p.m., the next time the Nets play at home when they take on the NBA champions, the Golden State Warriors. Our Athlete of the Week spotlight goes to DeMarcus Cousins who recently returned to his hometown of Mobile, Alabama to help open a new outdoor basketball court. Cousins donated $253,000 towards the basketball court’s refurbishment. The Brooklyn Nets are still undefeated for 2014, after beating the Atlanta Hawks, 91-86 at the Barclays Center Monday night. The Nets were without injured Deron Williams, but he wasn't missed as newbie Alan Anderson started in his place and finished with 23 points. "We're undefeated this year," Anderson said after the game. "So as long as we just keep that rolling, man, we know we've got a couple of tough games ahead of us, but like I said, take it one game at a time, one practice at a time, and keep building." Mirza Teletovic also had a big game, clutching four-three pointers which helped the Nets extend the lead over the Hawks at a point. He finished with 12 points. 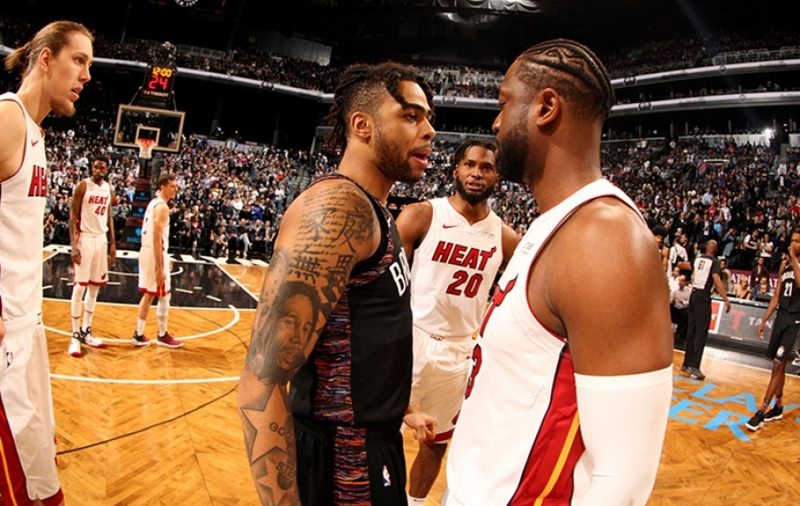 The win for the Nets, who hold a 13-21 record, are now one game behind the Detroit Pistons for the eighth spot in the Eastern Conference, but they have to look to the hills with tough upcoming games against the Golden State Warriors and the Miami Heat. They beat Miami at home back on November 1, which was the season opener. "I've never been on a team or seen a team that has gone through what we've gone through with injuries — from the summer to today's date," Nets head coach Jason Kidd said, who decided not to wear a tie for Monday's matchup. "We're going to have our hands full, but we've got to come with the same effort that we've had since the New Year started." 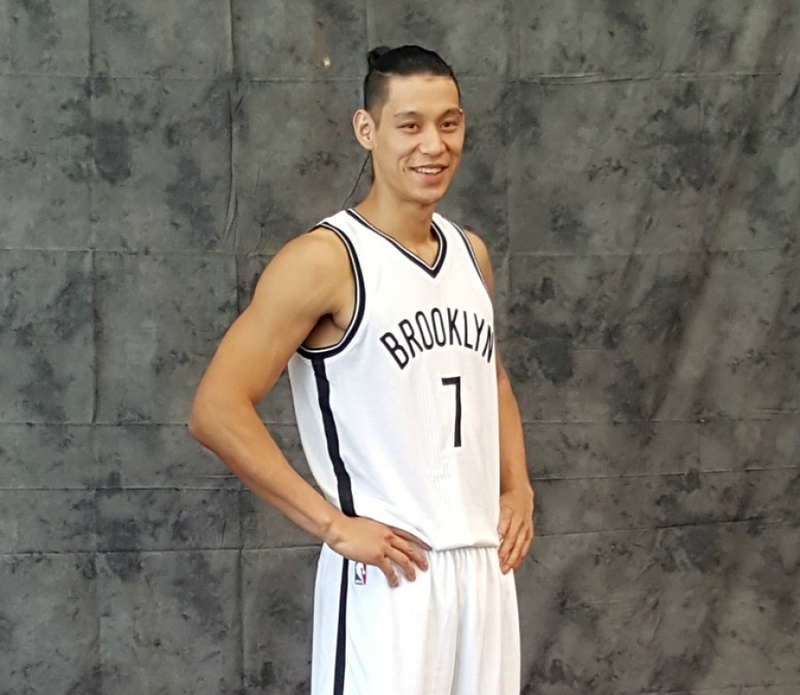 Meanwhile, Williams' ankle injury is never a good sign for the Nets. Williams has struggled since the start of the season after he sprained his right ankle and suffered a bone bruise during the offseason. His ankle swelled up Sunday night after practice and underwent an MRI in the morning. Because of Williams' injury, the Nets were forced to recall Tyshawn Taylor from the D-League. He left Springfield early Monday afternoon and arrived shortly before the game. However, Taylor did not play. With the face of the franchise, Deron Williams undergoing yet another procedure to help cure his ailing ankles and without leading scorer Brook Lopez out for the rest of the year, the Brooklyn Nets and their modest 3-game winning streak took on the hottest team in the NBA. The Golden State Warriors, coached by ex-NY Knick Mark Jackson came into the Barclays Center on a 10 game winning streak, the last 6 on the road. They were looking to make history by becoming the first team to win 7 consecutive games on the road. The Nets biggest task would come on the defensive end trying to figure out how to contain 3-point sharpshooters Stephen Curry and Klay Thompson. It didn't take long for both of them to start showing their shooting prowess. Tied at 6, Curry and Thompson hit 2 three-pointers each. 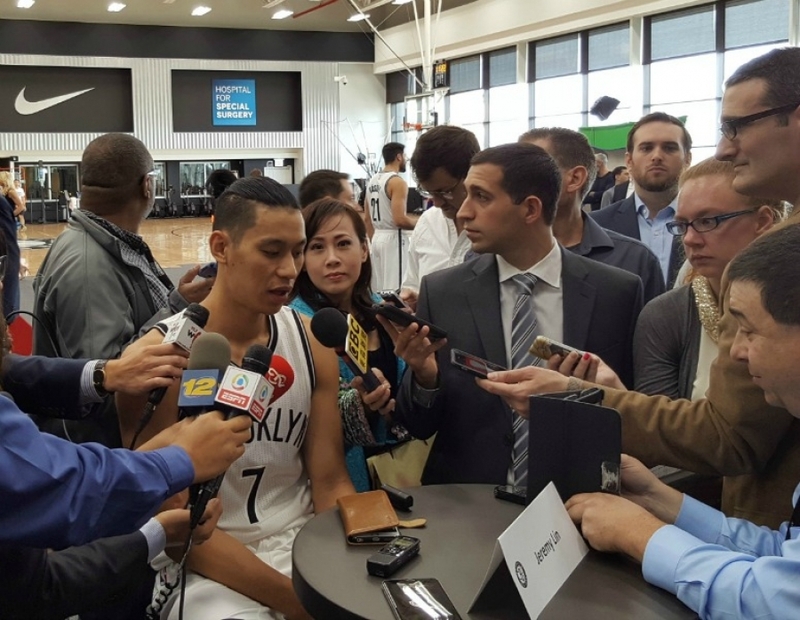 Said Nets starting guard Shaun Livingston, "they came out guns blazing." Warriors Andre Iguodala added a 3 of his own and before the fans popcorn was cold, Golden State took a 16 (32-16) point lead. Brooklyn joined the 3-point party to close out the first period with baskets by Mirza Teletovic and Joe Johnson closing the gap to 10 (32-22). Brooklyn took advantage to begin the second with both Curry and Thompson on the bench outscoring Golden State 11-4 (35-33) to get back in the game. Lee, who scored 11 first-half points, hits 3 straight baskets putting them up by 5 (34-38) before the Nets closed out the half with a flurry. Kevin Garnett's first attempt and basket gave the Nets their first lead of the second half (47-46) and when Teletovic banked a 3-pointer at the buzzer, Brooklyn took 59-52 lead into the half. The Nets hoping that the Warriors second game in a row would catch up to them in the second half. The hot shooting for both teams (52% for both) that paced them in the first half, cooled off considerably to begin the third period. At one point, Brooklyn missed 6 straight shots allowing Golden State to stay within 3 at 69-66. Curry then showed why he is an all-around player. Driving to the basket, he puts up a left-handed, floating shot as he gets banged by Teletovic the ball falling through the net getting them within 1 (74-73). Warriors Harrison Barnes 3-pointer gave them a 1-point lead (76-75) going into the final period. Neither team led by more than 4 (Nets 93-89) as the score was tied on six different occasions with the horrid shooting continuing. At one stretch, the Warriors would go almost 5 minutes without a field goal. The last tie at 93 came after an Andre Blatche (17 points off the bench) fade-away. With the game seemingly in hand, Livingston commits an unforgivable foul sending Curry to the free-throw line after fouling him behind the arc. Curry calmly sinks all three getting them within two points (98-96) and then old man Kevin Garnett saved the day and the streak for Brooklyn. Aside from hitting on 3 of 4 baskets in the period, he steals a Curry pass attempt then hits 2 free throws to ice the game. 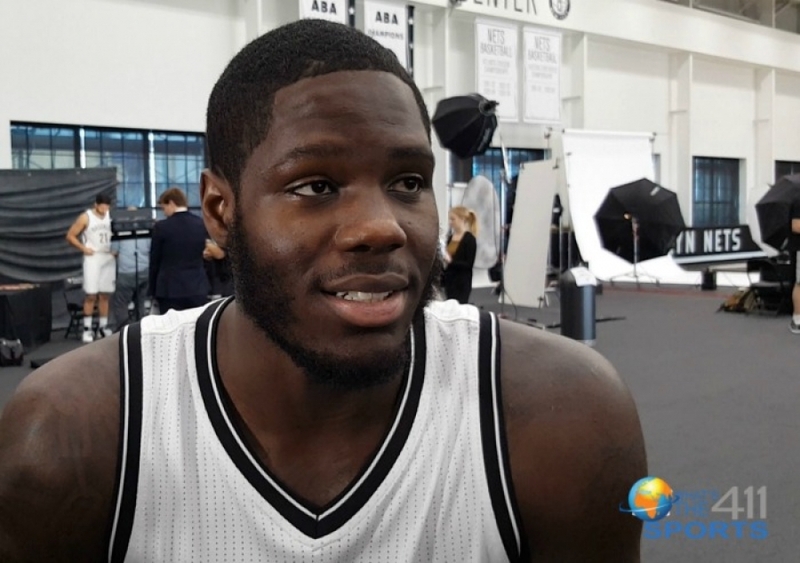 Said Nets head coach Jason Kidd of Garnett's performance, "he looks like he's 25. 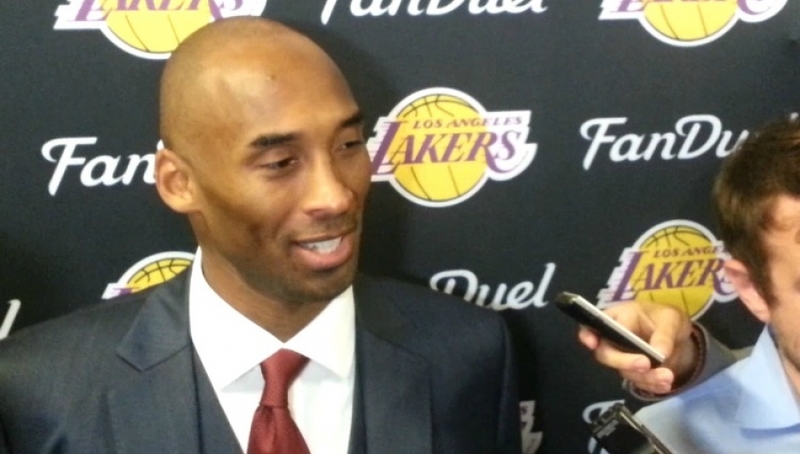 Tonight defensively, he looked like he was 21." The Brooklyn Nets were led by Joe Johnson and his 27 points while Curry finished with a game-high 34. Unaware that his team was on the brink of making history, Jackson although disappointed in the loss focused on the bigger picture. "None of us knew who actually held the record prior to us. The history we're chasing after is bigger than a 7-game road trip." 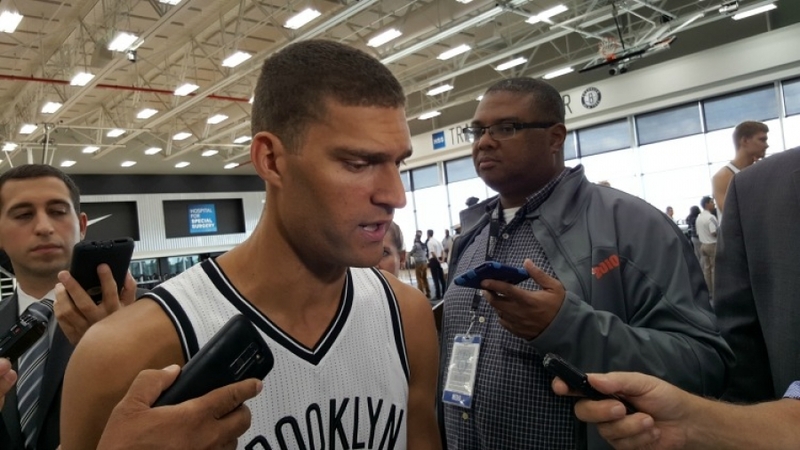 The Nets, as a team, made a conscious effort to put 2013 in their rearview and focus on 2014. Not a bad start after losing their most important player for the year and hoping their other important player could rebound from ankle problems. Why is Kevin Durant so sensitive? Will Kevin Durant find peace if he leaves the Golden State Warriors? In some corners, Kevin Durant is becoming a laughing stock, and others are just downright concerned about the NBA star. Durant is the second best player in the league and he doesn’t seem to be comfortable in his own skin or with his personal decisions, as in the decision to leave the Oklahoma City Thunder. "We're confident because we know if we're doing what we're supposed to do, we're going to beat them. But today, we were ready. I think that if we're doing what we're supposed to do on defense -- all the switches, the weak side -- and keep playing our offense by keeping that mentality all game long, we have the weapons to beat them. We are better than them." Yes, Durant, the nine-time NBA All-Star, felt a need to hide behind a fake account to respond to Capela. Even Dirk Nowitzki has expressed concern about Durant's sensitivity. Kevin Durant, if you're not the put your name to it kind of guy, then let it go. You really don't have to respond, after all, you are the one with the ring. In this episode of What's The 411Sports, hosts Keisha Wilson and Mike McDonald, are talking about the NBA FINALS featuring the three-time NBA Champions, the Golden State Warriors and the Cleveland Cavaliers; Bryan Colangelo's current employment woes with the Philadelphia 76ers; how the eyes of NBA world are on the Los Angeles Lakers’ upcoming offseason moves; JJ Watt, our Athlete of the Week; Brooklyn Nets player, Jeremy Lin, initiates a clap-back at ESPN’s Jalen Rose; the Most Useless Cavaliers, is Tristan Thompson on the list? and more.